The district Murau (part of the NUTS-III-region AT 226) is defined as mountain region and co-vers an area of 1,384 km2. It is home to 28,388 inhabitants (2016) who live in the 14 munici-palities of the region. Like many other mountain regions, it is characterised by low population density (21 people / km2). There is an ongoing trend of rural depopulation which is aggravated by both a negative rate of natural demographic change as well as a negative migration balance (2011-2015) which is among other factors often triggered by a lack of employment opportu-nities. Only 20 % of the area is considered “permanent settlement area” (BMFLUW, 2015b). In the district Murau, 1,297 farms are registered within the IACS system (2014) of which 1,185 are classified as mountain farms. Organic mountain farming is a widely-spread management system in the district, 34 % of all farms are organic farms, respectively 37 % of all mountain farms are organically managed (IACS, 2014). Mountain farming in the region is dominated by milk production and livestock breeding as well as forest activities which together constitute the three main sources of agricultural income. About 34 % of all organic mountain farms in the district currently participate in the organic haymilk scheme of ZZU. farming practices and the production of organic hay-milk for which producers receive a substantial price premium, increase the economic viability of extensive modes of production. They also contribute to the conservation of the prevailing features of cultural landscapes and have a positive impact on the level of biodiversity. 5. Uniform and transparent terms and conditions (e.g. participation, standards) of farmers’ engagement. Third party control and monitoring also enhances the image of the products and helps establish consumer trust. 6. Market capability to reward high-quality products through price premiums, addressing all three aspects: mountain origin, organic production and the use of traditional and environmentally beneficial management methods. 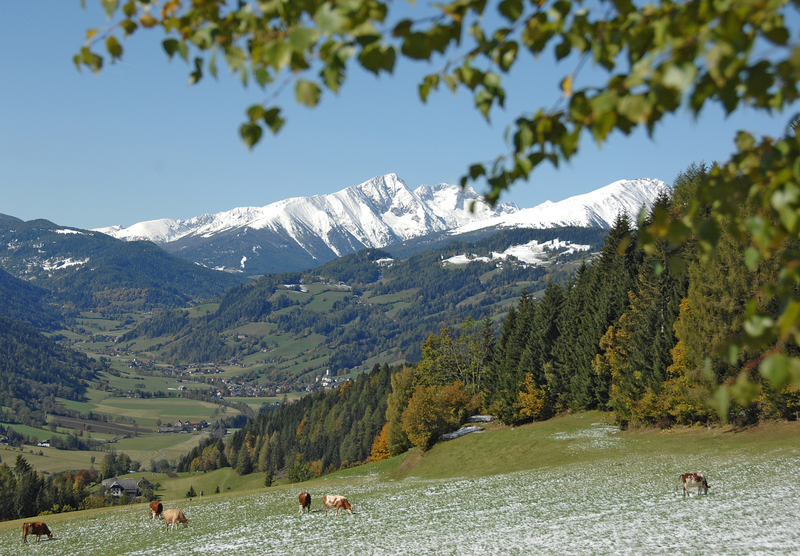 -Extensive land management systems (both in agriculture and forestry) are inseparably linked to the provision of key environmental and social benefits in the mountain district Murau. -An important prerequisite for the continuation of mountain farming (e.g. on a medium-term) is a sufficient agricultural income. -Consumer choices for organic hay-milk products (at the other end of the food-chain) directly impact the provision of relevant environmental and social benefits. -Therefore, the case study exemplifies how economic, social and environmental objectives can be met simultaneously.